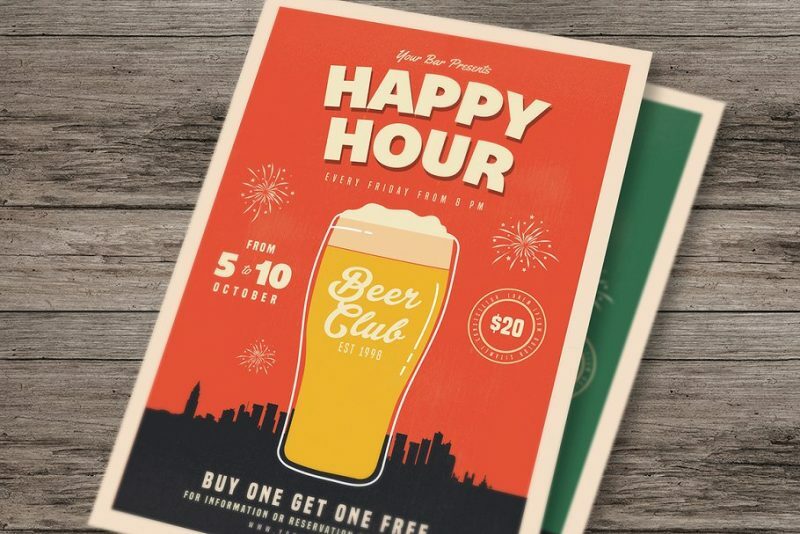 Promote your bar business by using these bar flyer templates. 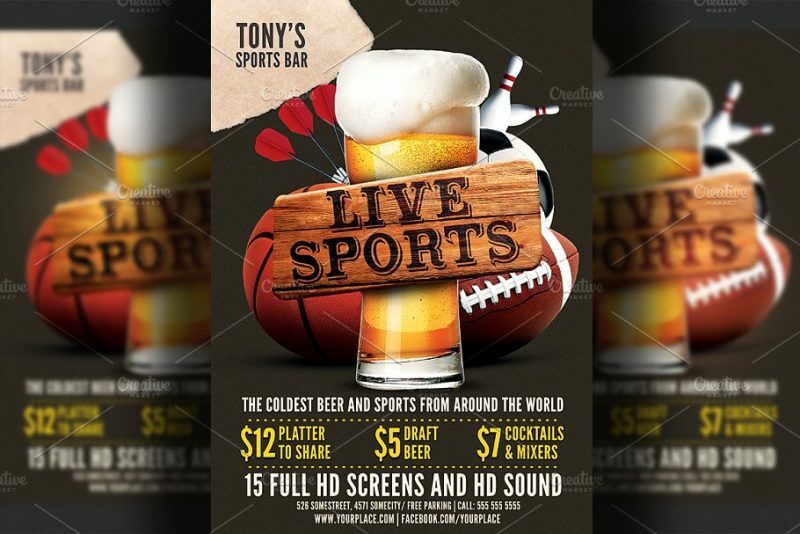 You can create a outstanding and awesome looking bar flyer by using these templates. All these templates which are included in the below article are well layered. 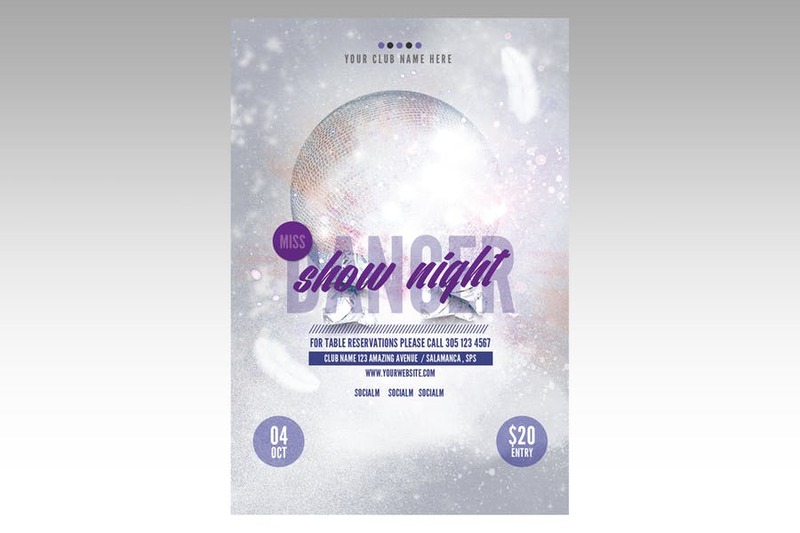 All the text and images which are included in the psd file are designed as layers. You can replaces the images on the template by using the smart objects. 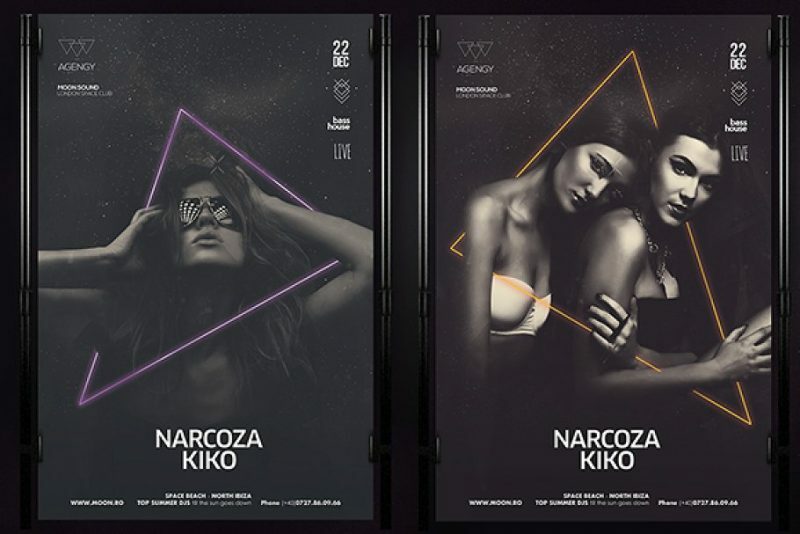 In this article we have collected some of the best templates that suit your need. 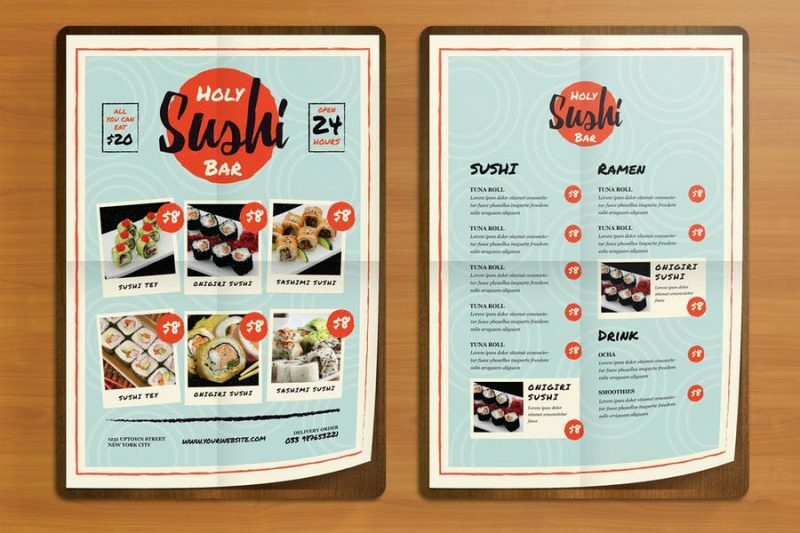 We have included flyer for bar opening, music night, sports bar, happy hour and sushi bar flyers. You can give a clean and elegant look o your design by using file. 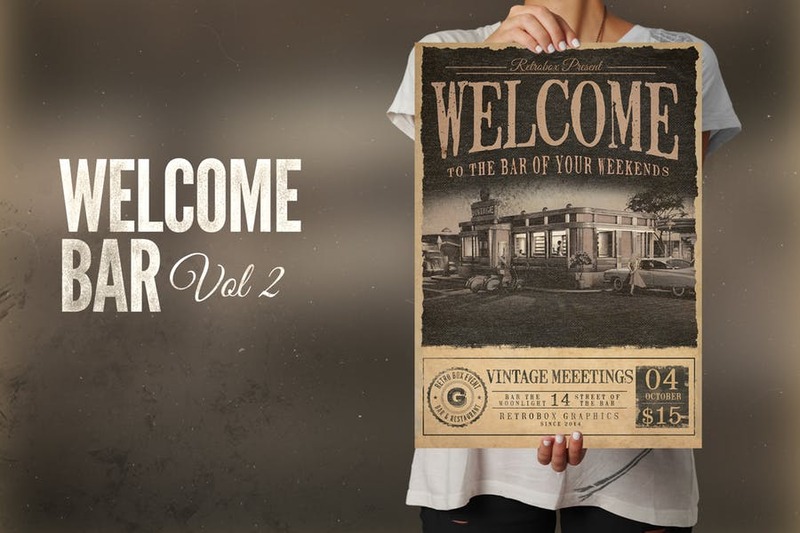 Select the best mockup based upon your promotional need and customize it. 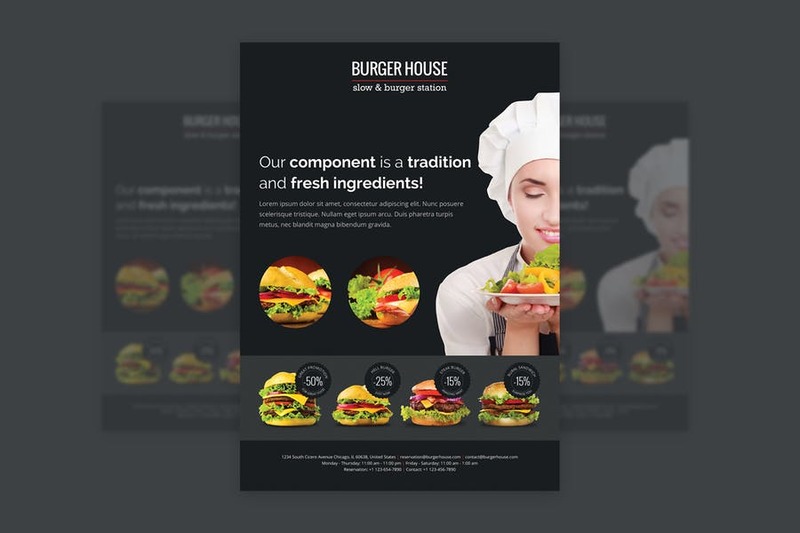 Checkout the best templates that we have included. 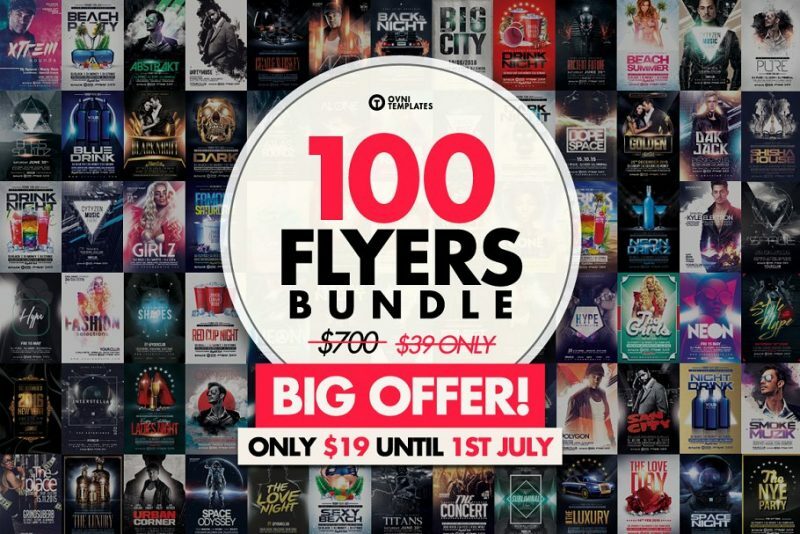 This is a massive collection of 100 flyer templates to promote your parties and business. 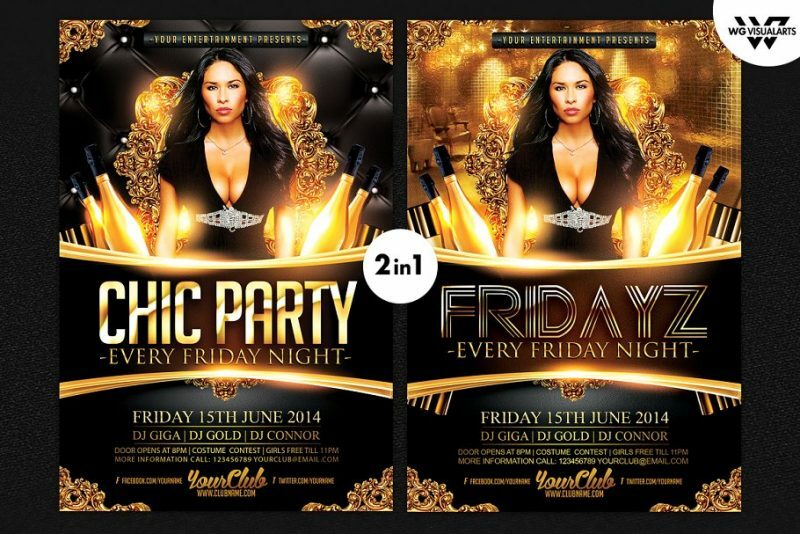 You get the templates in A4 size and few flyer are include with two or more versions in PSD file. 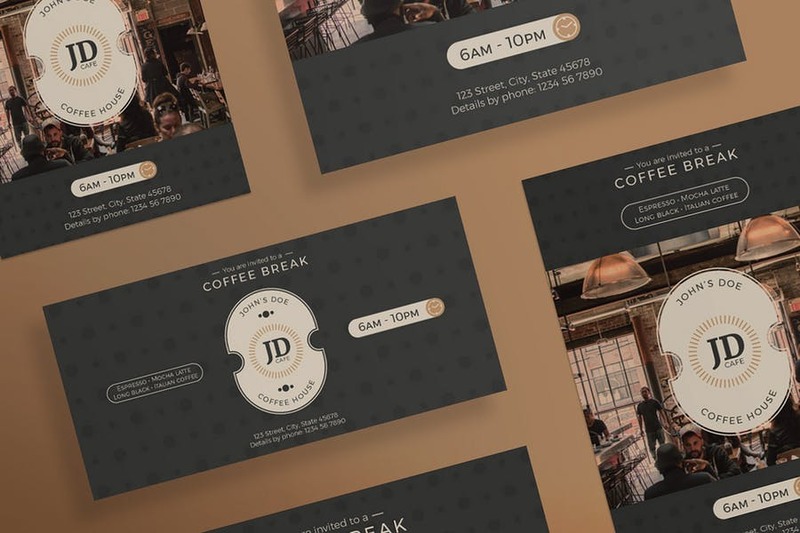 Only free fonts are included in designing these files so you don’t have to pay for fonts again. 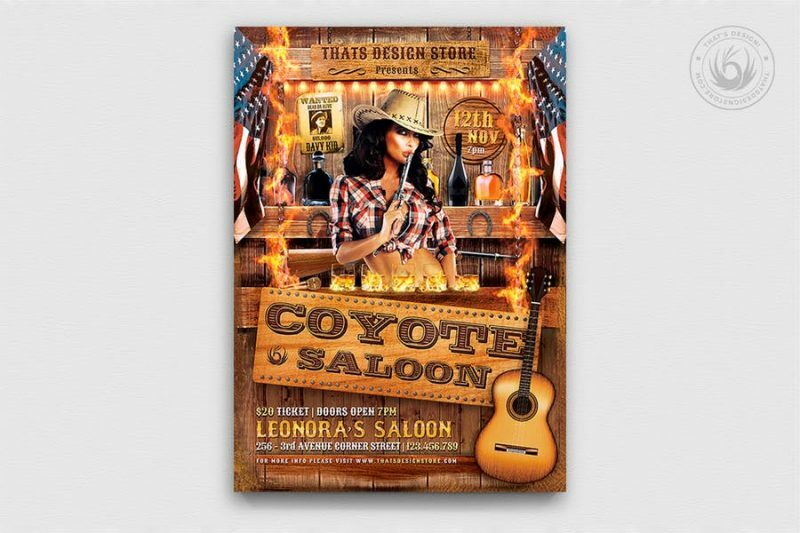 Give a western look to your bar promotional flyer. You get this template in A4 size with bleed. The lady image shown above will not be included in the final download but you can download the stock image from link provided. The wanted poster in the background can also be edited. 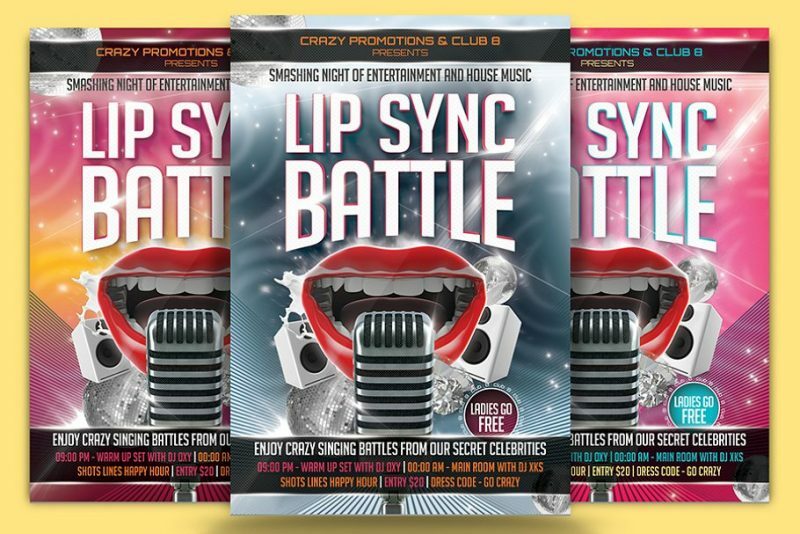 This flyer template can be used to promote the artist event in a bar or club. This is a well layered psd file and all the layers are well organized. 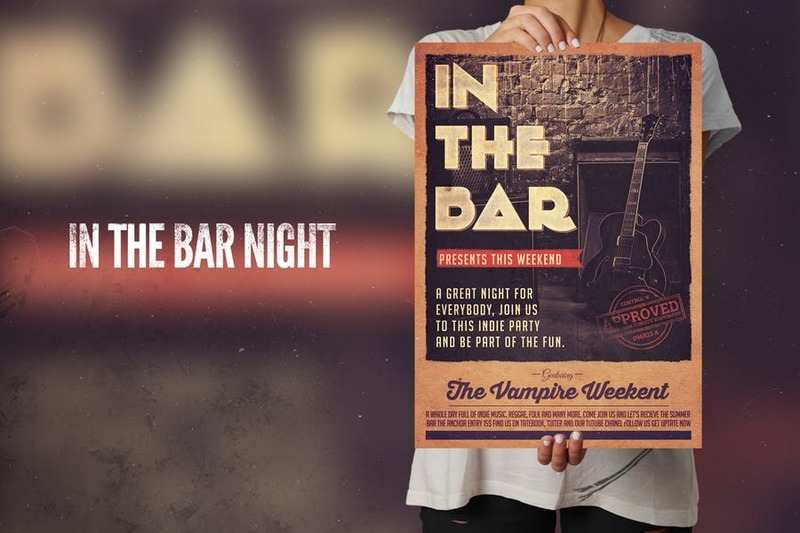 Hope you like our collection of best bar flyer templates for promoting bar and bar events.